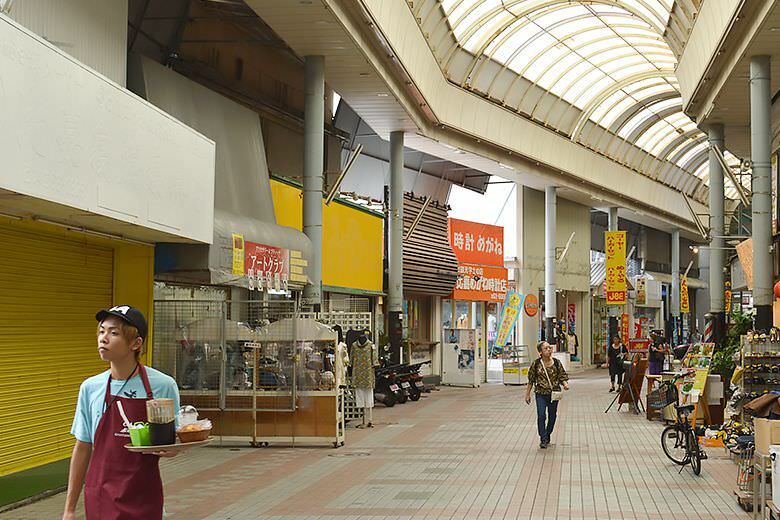 It takes about 10-12 minutes to walk from Makishi Station to Taste of Okinawa. Turn left out of the ticket gate, and go down the stairs. You will come to a large road. This is “Kokusai Street.” Turn left (there will be a Lawson convenience store on your left) and walk along Kokusai Street for 450 meters (about 6 minutes) until you come to another large intersection. 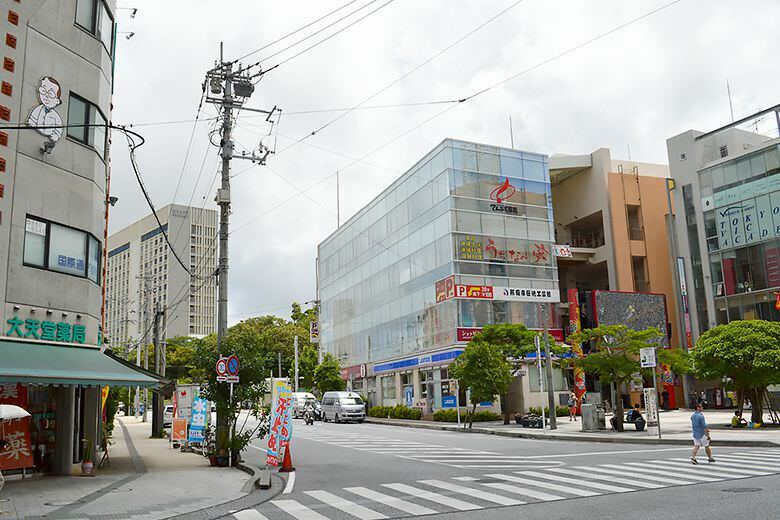 Cross the intersection, and you will see “Tenbusu Naha” (a cultural centre with a “Lawson” convenience store on the first floor and wide empty space in the front) on your left. You can also see the Hyatt Regency Hotel along this large street. Turn left onto this large street. 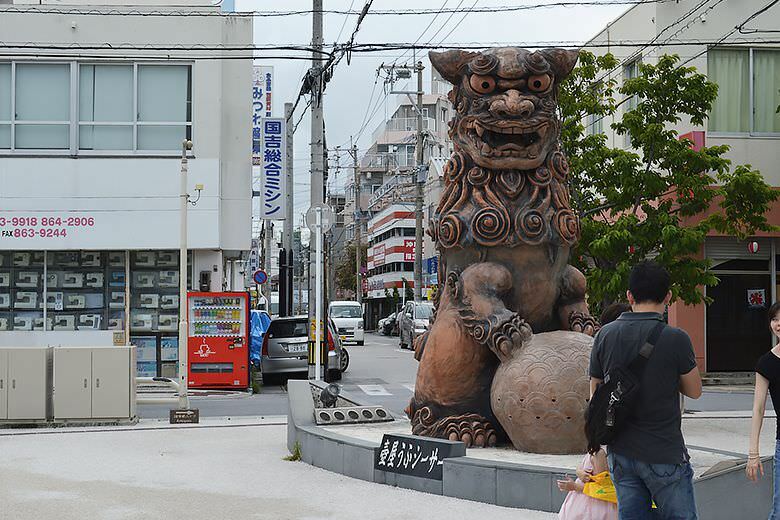 Continue walking for about 400 meters (about 5 minutes, past the Hyatt Regency) until you see a large “Shīsā” (Okinawan lion-dog) statue. Turn right on this road. Walk 60 meters (1 minute) until you come to a covered shopping street. This is “Sunrise Naha” Street. Turn left onto Sunrise Naha Street. Taste of Okinawa is on your left.